History of Japanese swords goes back 2,000 years. The first metal sword was discovered from a grave in Japan. The oldest sword is called Jo-ko-gatana (Sword of the ancestor). Swords with blades on both sides are known as ken or tsurugi, and the ones with a single blade as tachi. From the 3rd to the 8th century, Chinese and Korean sword craftsmen came over to Japan, and at that time swords were typically straight, fashioned after Korean and Chinese designs. Double-edged tsurugi swords were received as a gift from China, and they were recorded to be the earliest swords possessed by Japan. Ken (ryo-to-ken) were made during the 7th to the 8th century. Tachi developed into a katana during the middle of the 10th century, because the Japanese horseman required weapons suitable for surprise attacks. The early swords made in Japan are said to be straight and have low quality that they did not survive long due to the climate. By then, sword making was not a mastered craft not until in the middle of the Heian Period (794-1184). New methods of forging a sword were used creating blades with harder surface and soft core. It is also during this age that sword makers put signatures on their creations. A tachi (curved swords longer than a Katana) forged by Sanjo Munechika is reportedly the first signed blade. This is the time when sword making became more popular and sword smiths have gathered in one place. Blacksmith techniques were at its finest during the year 1190 to 1337 (Kamakura period), thus many of the swords valuable as national treasures were made during this period. The years 1334-1393 was the Nanboku-cho period and rebellion and conflict between two emperors Godaiko (Go-Daigo of the Southern Court) and Ashikaga Takauji (Northern Court) were at hand. This had caused wars for more than 50 years and the demand for swords increased tremendously. Long swords were created which were suitable for fights on foot. During the year 1337 to 1570 (Muromachi period), japanese samurai required long and heavy swords more suitable for one on one fights. Some of the swords were longer than 3ft. (90cm). 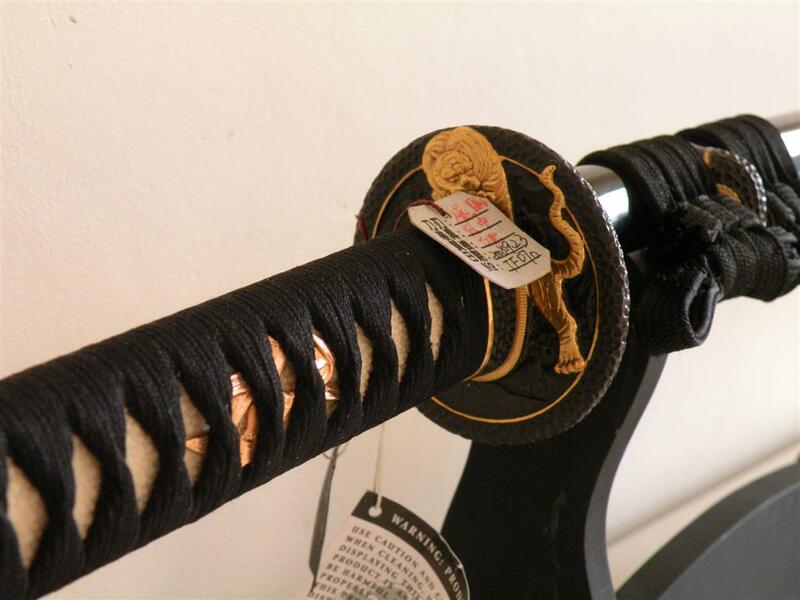 In this period swords were slightly curved and shorter than the traditional tachi. Their cutting edge was facing upwards that made slashing of opponents easier. At the end of Sengoku period, many tachi were cut shorter, and the concept of “tachi wearing” (tachi koshirae) changed into “katana wearing” (katana koshirae). This caused the loss of many good swords. It was in Edo era that the swords of finer quality were made. With more accessible materials like steel and wood plus more developed and experienced Japanese sword makers, there was an obvious difference between the quality of the swords made during the earlier periods and those made in the Edo Era. The use of swords gained popularity that sword fighting schools were established. Swords made during Momoyama period to Keicho-Nenkan (1596 to 1614), are known as kotou or furui katana. 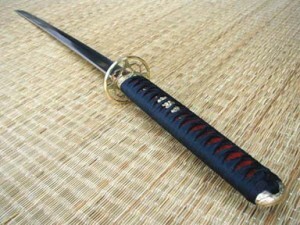 Katana produced after this period are called shin-katana. During 1868 to 1926 (in the beginning of Showa period), shin-shintou swords were made, and showa-katana swords with machine-made blade followed. In the later part of this period, firearms were introduced to Japan and a possible fall of the Japanese sword history dawned. Soon after, bringing swords became illegal that even the samurai rights to carry swords were taken from them. Consequently, the sword industry declined. In 1953 the making of swords was legalized again but the demand for them has never been regained. Along with the style of swords, their forging techniques evolved over time as well. The transition from the Kofun to the Nara period (c. 300-794) offers an example of these changes. In the Kofun period, the hamon was often absent or ill-defined. It was during the Nara that distinct hamon, usually straight, became predominant. During the Kamakura period (1185-1392), the Soshu school of sword making began forging swords using mixtures of different strength steels. This created exceptionally strong swords, and served to make swords from the Kamakura period among the most highly praised. There are still swordsmiths today that practice forging katana with traditional methods and techniques. These swords are often quite expensive, but for serious collectors these items are of great value.